Exploring Life’s Mysteries is a website dedicated to the wonders of the world, and the exploration of the mysteries of life. Every year, they complete a review of the Best DNA ancestry test companies. They have revealed the winners of this year’s review. 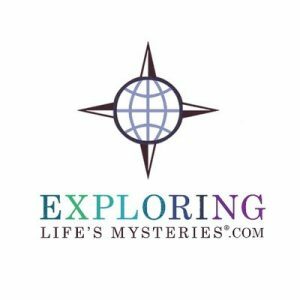 Every year, Exploring Life’s Mysteries conducts an extensive analysis of home DNA kits for genealogy. They take into consideration new improvements, additional customer feedback, and any new major players that enter the market. They also conduct quarterly re-evaluations to keep their reviews current. The site’s research includes independent reviews, anonymous consumer phone calls and consumer feedback on its own website as well as third-party review sites like Yelp, Angie’s List, the Better Business Bureau, Twitter, and Facebook. The 2017 first place winner was Family Tree DNA. They are the only home DNA company that offers Autosomal, Y-DNA and mtDNA testing separately, and the Y-DNA and mtDNA test results are more in-depth than other companies’ analysis. It is the best DNA test for people with Jewish heritage and ethnicity. Family Tree DNA compares your autosomal DNA with more than 60 reference populations around the world, including Sephardic and Ashkenazi Jewish ancestry. The second place winner was AncestryDNA. It is the best for finding potential relatives through DNA matching. AncestryDNA compares your test results to others who have taken the test, and gives you a breakdown of your ethnicity. AncestryDNA has the largest database (5 million people tested), and this means you’ll be more likely to find living relatives and shared ancestors. It is also the best for African heritage. It tests for more regions in Africa than other sites, including Africa North, Africa South-Central, Hunter-Gatherers, Africa Southeastern Bantu, Benin/Togo, Cameroon/Congo, IvoryCoast/Ghana, Mali, Nigeria, and Senegal. The third place winner was 23andMe. It is the best for people who suspect they are of asian descent. 23andMe tests for more specific regions within East Asia including Japanese, Korean, Yakut, Mongolian, Chinese, and Broadly East Asian. In addition, 23andMe has three FDA-approved health reports: late-onset Alzheimers, Parkinson’s, and Hereditary Thrombophilia. Exploring Life’s Mysteries also pointed out some other DNA ancestry tests you should consider. Living DNA is the best for people of British ancestry, because they are based in the UK and their database is geared toward the European and UK markets. MyHeritage DNA gives consumers the fastest results.